We wanted to make a statement, so we created these insane metallics, just for you. Dare you to wear them. This range was inspired by a woman we met in Uganda, beautiful and statuesque, celebrating herself with a fabulous blue lipstick. In homage to her, we created Elektra. Go on, Celebrate Yourself too. Net. 10ml / 0.34 Fl. Oz. Bomb products! They are waterproof! The products are the bomb! The Lippies are so creamy and are waterproof! Love them. So many beautiful colors to choose from. The palette is very pigmented and goes on effortlessly! All around great products! Happy customer! The lip cream is a dry formula with a metallic finish. The Lip pigments is really vibrant and has a variety of shades. I am in love with Zanzi Beauty Cosmetics, especially their Zuri Palette. The packaging is beautiful, and the shades and shimmers in the palette are stunning. They are very pigmented, easy to blend and has no fall out! 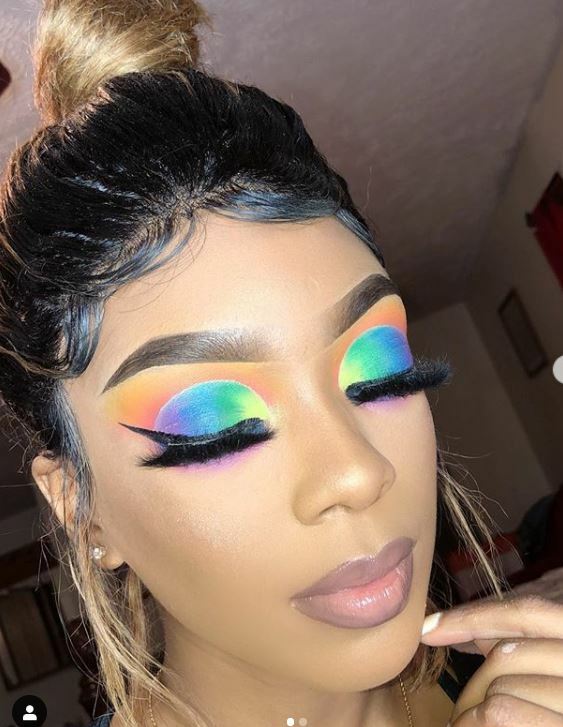 This is definitely an A+ palette! !